Lets just get right into this. 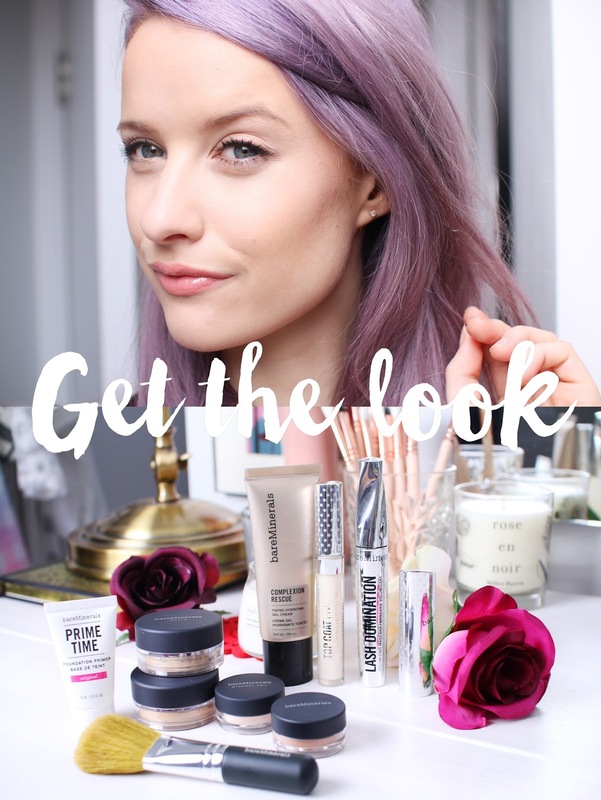 I’ve never used BareMinerals before, although I’ve heard a mixture of positive and negative reviews, so I figured it was about time that it made an appearance on Inthefrow! I first applied the Mineralixirs, a 5 Oil blend that aims to bring back a youthful appearance when applied to the skin with your warm palms. I applied a few drops onto my fingers tips and worked it into the skin, massaging it as well as I could all over the face. It provides a dewy oily texture to the skin the offers more radiance for further makeup layers, and with no fragrance detectable, this is a great product to boost the skin in the mornings, or even the evenings. I decided that because I was going to be using the foundation kit, that I would first start by using the complexion rescue in Vanilla. I wasn’t sure what to expect, but when I saw a yellow toned beige product inside the tube I was really excited. It is a perfect match for my skin tone and helps to apply a light tint to the skin whilst perfecting the complexion. Whilst the coverage is not extremely high, further layers of this will add more product and build up a higher coverage, but for me, I found it created a dewy and bright base that I will happily be wearing alone in the summer months. Im actually so impressed with this and Ive immediately added it to my most used foundations drawer! Next it was onto the foundation. I went for the original rather than the matte version, both are included in the kit and it’s nice that they give you the option. Yet, perhaps a matte version of the kit would be better, as well as an original only version, as it would allow a further product to be included in the kit, such as a highlighter in its place. I tried to use the foundation with the brush included, but I found it dispersed the product too lightly and I wanted to build up a tad more coverage, so I went for one of my own buffing brushes. You remove the small cover inside the pot, and tap the product into the lid before swirling your brush in the lid and tapping off the excess. You can then work the product into the face in buffing motions and I was surprised at how covering the product turned out to be. Especially with a more compacted brush, more product applied to the face and gave me the type of coverage I was hoping for. But I found that it also wasn’t too mattifying as I’d expected, and my face did still have a radiance to it. Im a concealer kind of gal, so I did apply a small layer of the Kevin Aucoin Skin enhancer (SX05) with a real techniques sponge to brighten my under eyes. I havent actually mentioned this product on the blog before, but this is a truly amazing concealer and can be doubled up as a foundation if used with moisturiser. Moving onto powder, I used the Mineral Veil included in the kit, and again used this on my usual Duo Fibre brush, swirling the brush into the product in the lid and tapping away excess. I brushed this lightly onto my concealer to set it in place, finding it didn’t cake or look too heavy. Rather impressed so far. Next up, bronzer, and I hadnt realised that BareMinerals sold a loose powder bronzer like this. Its not something I was used to, but after really blending it into the skin, I found the finish so natural. I used my Mac Large contour brush, again swirling and tapping and working it straight onto the cheek hollow in a line. It is quite dark at first, but like I said, blend it up around your hairline to your temples and blend it onto the cheek hollows, and it blends to a natural shadow. I applied the lipstick in Moxie, a muted coral with a natural satin glisten and a smooth application. I actually really like the shade with bronzed and natural skin, and I think this might be a winner for the summer months. Over the top, I applied the Cream Coat gloss for a bright shiny lip finish. It isn’t sticky, for once, and just enhances the overall finish. So pretty! Now mascaras are my least favourite thing, as you know, and although I really like the brush head and application of this, to lengthen my lashes, the curl wasn’t there, as always. So below is a shot of how my lashes looked, after I had curled them and then applied mascara. As you can see, they have just dropped and are facing straight out. I cant blaim the mascara, as only one mascara doesn’t do this for me, and you’ll probably know, thats the Clarins Truly waterproof. I curled my lashes again, after the mascara, to try to tame them into some sort of curl, which you can see below. And the verdict. Yes I’m impressed. I didn’t think I’d like BareMinerals at all, mainly due to the fact it’s all about the powders and I’ve always thought that only liquids could give you that flawless finish with a radiant glow. I’ve proved myself wrong here. I found the finish really lovely and my skin still looks bright, fresh and glowing. The bronzer is a favourite, as well as the complexion rescue and I will definitely be incorporating them into more routines, and I’m sure I’ll be dabbling with this foundation a lot more. For me, I would highly recommend trying the starter kit. Especially if you have oily skin and like to use powders, you might find that you love this. 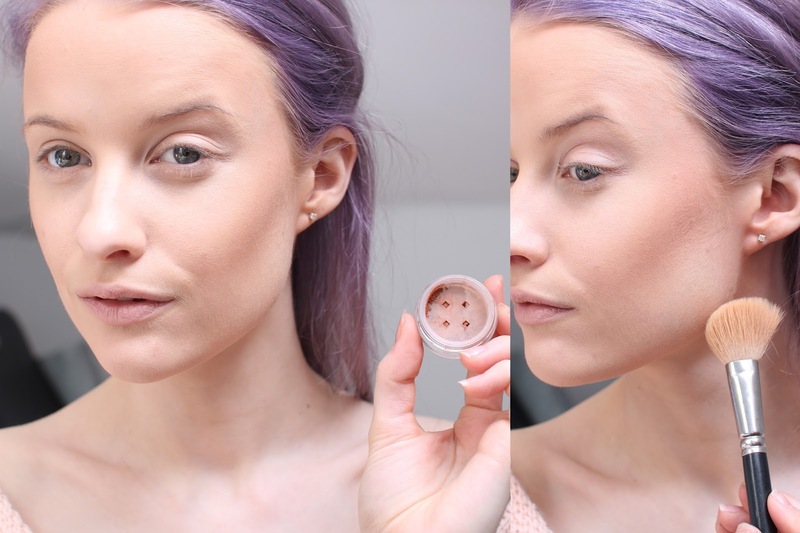 The coverage could build up pretty high if you wanted it too, but due to this being mineralised, you wont find it caking as you find from other powders. I’m really impressed, and the gloss and lipstick will also be favourites for my summer. As for the face oil, that is part of my morning routine now! Let me know your thoughts on mineral makeup, and BareMinerals. I’d love to know how you guys have got on with it too!